Loft conversions are a great way to add space and value to your home, but at what cost? This price will depend on the structure of your roof, the available space you have in your loft, and alterations that may need to be made for the staircase. On top of this, you have the added cost of interior design. Because most loft conversions do not require planning permission, they are often considered to be one of the simplest and most cost-effective ways of adding living space and value to your house. At the core, there are two different types of loft conversions - one that requires no change to the loft structure, and ones that do. We will explore various versions of these below. The total cost will depend on what level of quality you’ll go for regarding each of these aspects. This option is a step up from simply renovating your loft, and consists of building an extension outwards, resulting in a flat roof with horizontal windows. A dormer extension is the most common type of loft conversion in the UK today, and will set you back anywhere from £25,000-30,000. This oddly named extension consists of replacing the sloping side of a roof with a vertical wall that meets with the two remaining sides. A hip to gable extension will cost you around £35,000-40,000, depending on the size of the property. 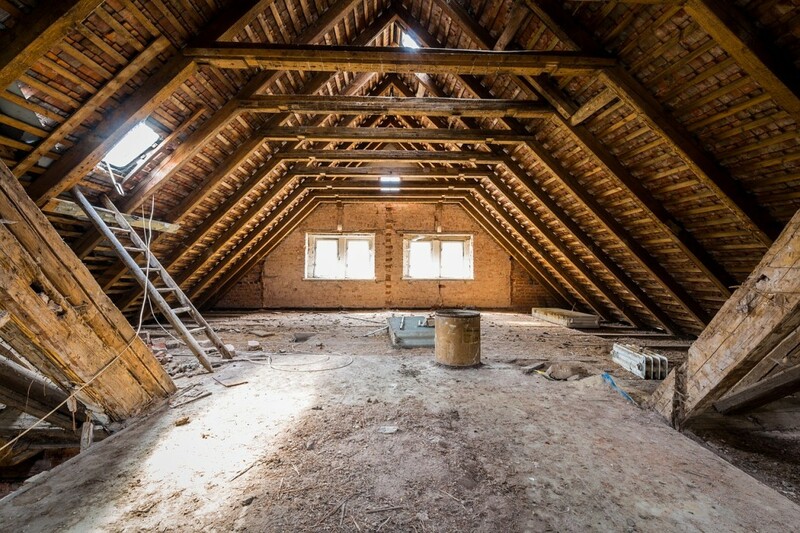 These have the potential to be the most costly and the most difficult of all loft extensions, as they require the removal and rebuilding of an entire roof. This may be necessary either because the existing roof is not an appropriate shape, or because it is not structurally sound to undergo any of the simpler extensions. Unfortunately for the homeowner, this type of loft conversion requires planning permission, which is not only a hassle, but is an added cost. The average price of changing your roof structure is anywhere upwards of £40,000. Of course, these are not the only costs to consider; your proposed layout and what your new space will be used for will greatly affect how much a loft conversion will cost you. If you’re planning on using your loft for storage and a bedroom, for example, the costs will be significantly lower than if you’re fitting a master suite with juliette balcony. Bear in mind that if any bathrooms or sinks are fitted in your loft conversion, the plumbing cost will rise as this will involve extra fixtures and manual work. Similarly, the overall cost will depend on whether you decide to kit out your new space with the most basic of finishing touches, or whether you’re choosing to go bespoke. Thinking of converting your loft? Book a free consultation call with one of our architects to find out which of these options is best for your home.